I had the rare opportunity almost two weeks ago (yes, I know this is late, get off my back!) 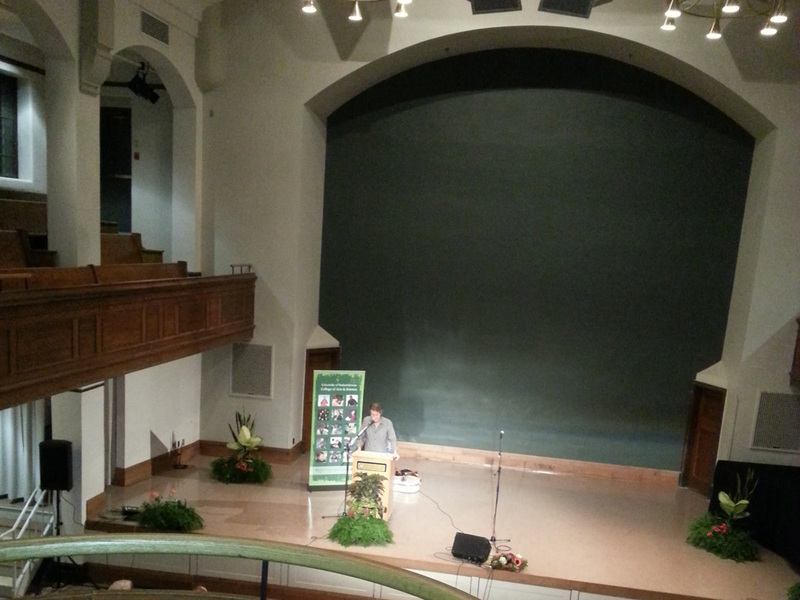 to hear Jim Cuddy speak about the Dawning of Independence of Canadian Music. It was specifically about the transformative change that occurred in Canadian music between 1980 and 1990. It was really interesting to hear about the Canadian music scene at a time when I was just getting into music. Especially because I was obviously well-informed about Canadian music even then, and was under the impression that it was well-established. Jim elaborated by explaining that at the 1980 Juno awards, Anne Murray won for Female Vocalist of the Year, Country Female Vocalist of the Year, Album of the Year and Single of the Year. “Anne Murray was good, but not that good,” Cuddy informed us. Jim explained that until the early ’80s most Canadian bands were doing everything they could to sound American or British, in order to be successful in North America, if not internationally. And that by around 1985, Canadian bands (Barney Bentall, k.d. lang, The Northern Pikes, Blue Rodeo) were sounding like Canadian bands and becoming popular in Canada. While the stories were great and a lot of them funny, and the music was fantastic, I couldn’t help but hear the same messages that I got from Malcolm Gladwell‘s Outliers and that I get every other day from Seth Godin. Gladwell talks about how 10,000 hours of practice makes an expert, using the Beatles work in Hamburg as an example. And Jim Cuddy talked a lot about how he and Greg Keelor spent several years, many of them in New York City, trying every genre of music, putting in the time to hone their craft. Gladwell also mentions that there must be an opportunity (in the case of Bill Gates, for example) to employ that expertise in a manner that no one else is doing. As mentioned, the Canadian music scene was only just coming to life, and Blue Rodeo was able to benefit greatly from it. Seth Godin also talks about finding the unfulfilled niche. After years of struggling to be successful musicians in New York, Jim and Greg decided to try their hand at a rock version of country music in Toronto, in a music scene in its infancy, and it worked. There was an appetite for something new and different and Blue Rodeo fit the bill. So it was great to see Jim Cuddy and hear him talk, but it was also very interesting to see a very personal example of Gladwell’s and Godin’s theories in action. This entry was posted in Opinion, People and tagged Blue Rodeo, Canada, Greg Keelor, Jim Cuddy, Malcolm Gladwell, music, Seth Godin.